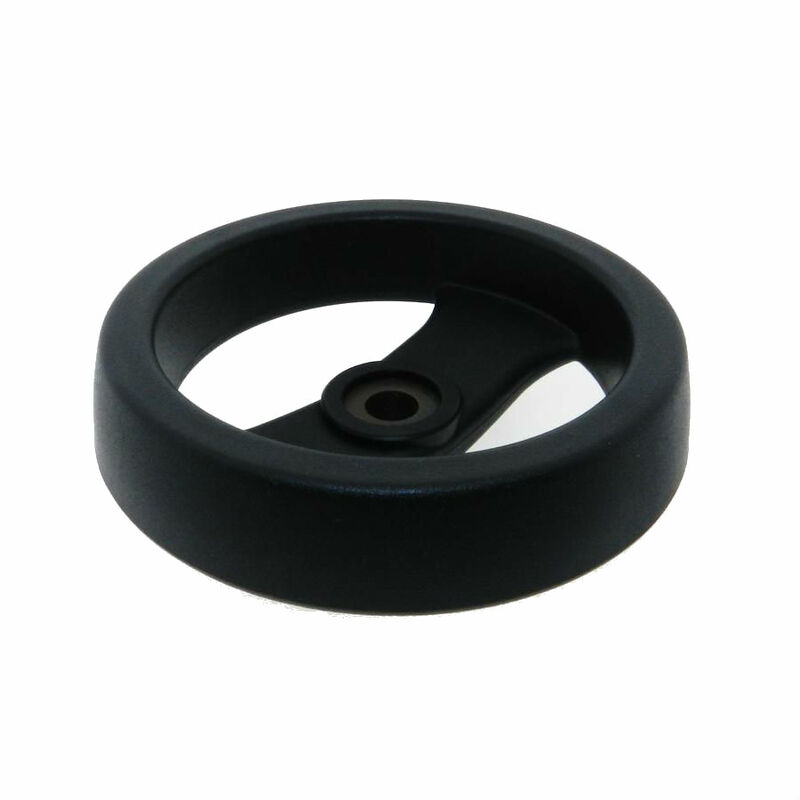 Request a quote for 2 Spoke Handwheel without Handle today. In limited space situations and or where the most precise hand adjustments are required, this two spoke thermoplastic handwheel from JBF National is what you need. With its handle-less and through center spoke design, the operator's fingers and palm pass through the handwheel’s center so as to yield the utmost possible hand grip, to make the minutest adjustments no problem at all. 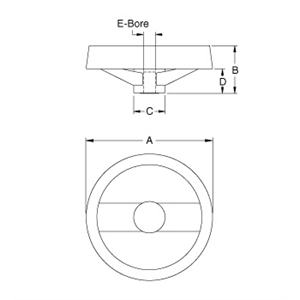 A high quality steel hub that protrudes beyond the plastic face, makes up the center of this handwheel and makes sure that it, and not the plastic takes the brunt of the retention forces. Please see component diagram below. 1PSH-1070 3.97" 1.46" .984" .748" 3/8"
2PSH-1071 6.33 2.01" 1.57" .984" 1/2"
3PSH-1072 7.91" 2.40" 1.97" 1.10" 5/8"